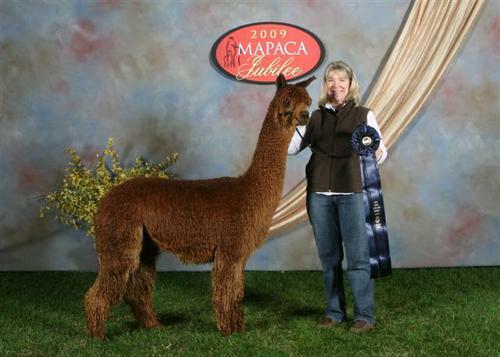 Saphira is the Champion daughter of the incredible multiple champion Moonriver’s Peruvian Durango who was sold to a breeder in Australia in 2009. 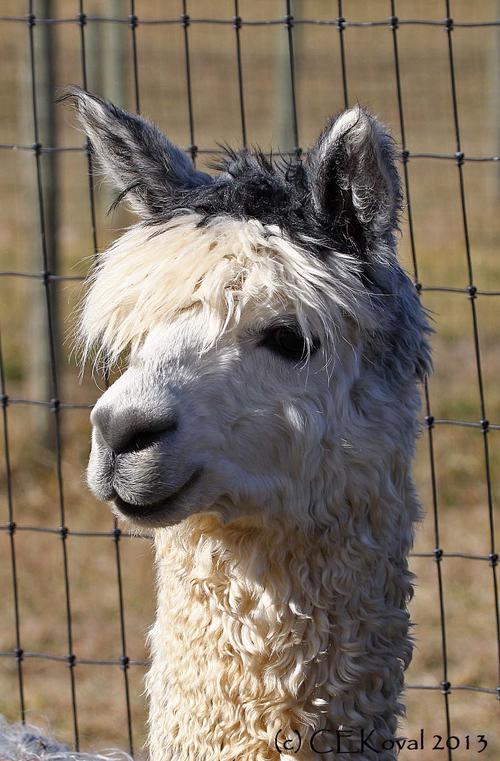 Her dam is Peruvian PVA Bernini daughter, Marilynn Monroe (now owned by Oak Run Alpacas). 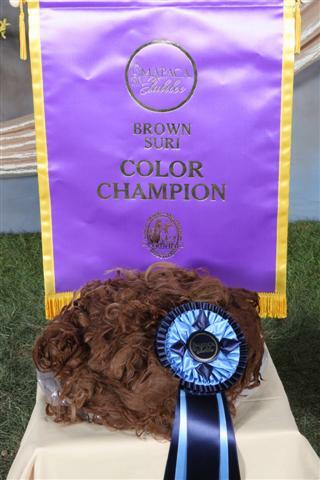 She is the same beautiful medium brown as her sire, and her fleece absolutely GLOWS. She has lustrous, uniform locking to the skin throughout her blanket. She has great bone and conformation and a sweet, calm personality. 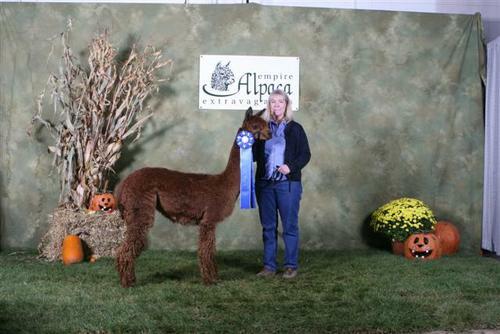 Saphira has placed very well in numerous shows. 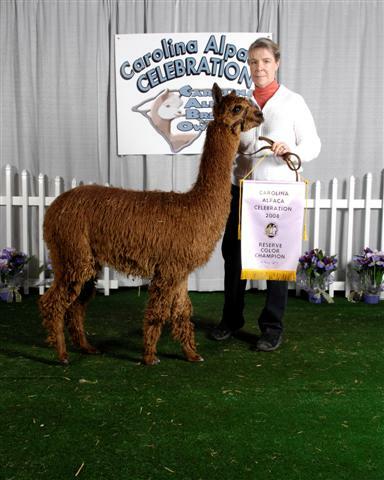 She was awarded the RESERVE COLOR CHAMPIONSHIP in halter at the Carolina Alpaca Classic as a juvenile, and went on to place FIRST as a previously shorn yearling at the 2009 MAPACA Jubilee, and also was awarded the brown suri COLOR CHAMPIONSHIP at the 2009 MAPACA Jubilee fleece event! Saphira is an excellent mother and an easy birther with great milk just like her dam. 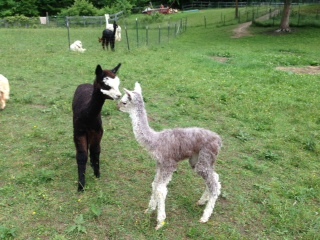 Her June 2014 cria is a beautiful light rose grey female sired by the Futurity Champion WLK Codeblue. She has also given us two beautiful boys, a medium brown and a fawn, both VERY nice. She is now relaxing at our farm where she will most likely spend the rest of her life. If you are interested in acquiring her please contact us.